Collagen, a promising supplement for reducing skin aging? Collagen is a fibrillar protein of the conjunctive and connective tissues in the human body, essentially skin, joints, and bones. Due to its abundance in our bodies, its strength and its relation with skin aging, collagen has gained great interest as an oral dietary supplement as well as an ingredient in cosmetics. Collagen fibres get damaged with the pass of time, losing thickness and strength which has been linked to skin aging phenomena. Collagen can be obtained from natural sources such as plants and animals or by recombinant protein production systems. Because of its increased use, the collagen market is worth billions. The question therefore arises: is it worth it? This 2019 systematic review assessed all available randomized-controlled trials using collagen supplementation for treatment efficacy regarding skin quality, anti-aging benefits, and potential application in medical dermatology. Eleven studies with a total of 805 patients were included. Eight studies used collagen hydrolysate, 2.5g/d to 10g/d, for 8 to 24 weeks, for the treatment of pressure ulcers, xerosis, skin aging, and cellulite. Two studies used collagen tripeptide, 3g/d for 4 to 12 weeks, with notable improvement in skin elasticity and hydration. Lastly, one study using collagen dipeptide suggested anti-aging efficacy is proportionate to collagen dipeptide content. The authors concluded that preliminary results are promising for the short and long-term use of oral collagen supplements for wound healing and skin aging. Oral collagen supplements also increase skin elasticity, hydration, and dermal collagen density. Collagen supplementation is generally safe with no reported adverse events. Further studies are needed to elucidate medical use in skin barrier diseases such as atopic dermatitis and to determine optimal dosing regimens. These conclusions are similar to those of a similar but smaller review of 2015 which concluded that the oral supplementation with collagen peptides is efficacious to improve hallmarks of skin aging. And what about the many other claims that are currently being made for oral collagen? A 2006 review of collagen for osteoarthritis concluded that a growing body of evidence provides a rationale for the use of collagen hydrolysate for patients with OA. It is hoped that ongoing and future research will clarify how collagen hydrolysate provides its clinical effects and determine which populations are most appropriate for treatment with this supplement. For other indication, the evidence seems less conclusive. So, what should we make of this collective evidence. My interpretation is that, of course, there are caveats. For instance, most studies are small and not as rigorous as one would hope. But the existing evidence is nevertheless intriguing (and much more compelling than that for most other supplements). Moreover, there seem to be very few adverse effects with oral usage (don’t inject the stuff for cosmetic purposes, as often recommended!). Therefore, I feel that collagen might be one of the few dietary supplements worth keeping an eye on. 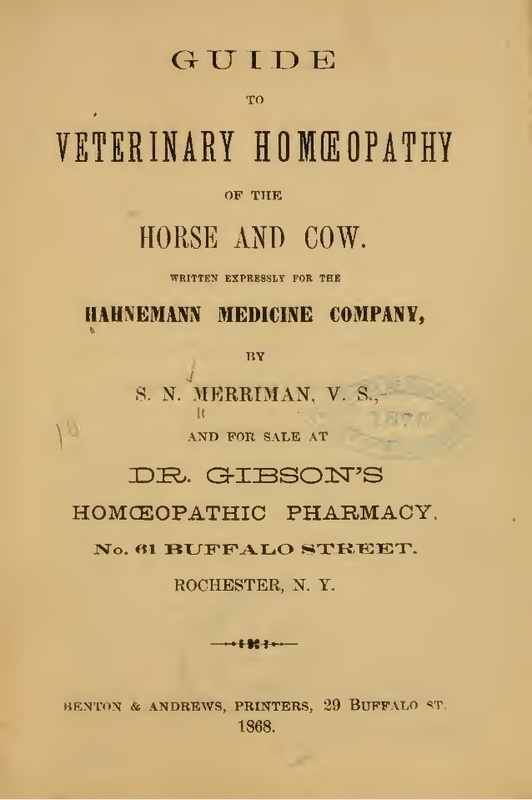 Ever since Samuel Hahnemann, the German physician who invented homeopathy, gave a lecture on the subject in the mid-1810s, homeopathy has been used for treating animals. Initially, veterinary medical schools tended to reject homoeopathy as implausible, and the number of veterinary homeopaths remained small. In the 1920ies, however, veterinary homoeopathy was revived in Germany, and in 1936, members of the “Studiengemeinschaft für tierärztliche Homöopathie” (Study Group for Veterinary Homoeopathy) started to investigate homeopathy systematically. 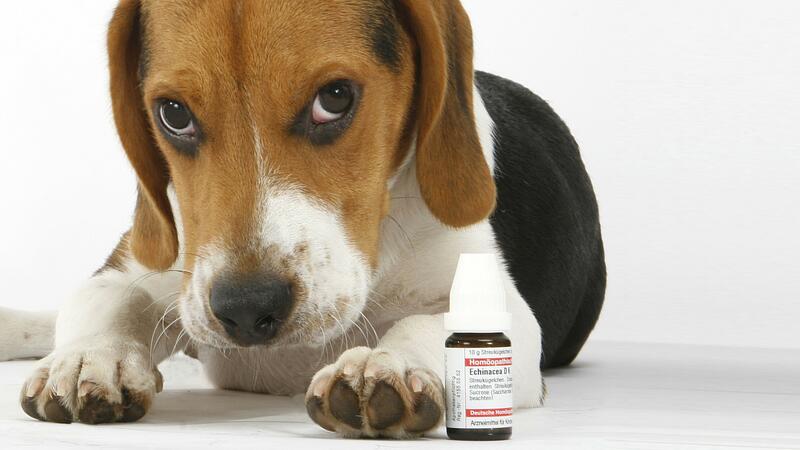 Today, veterinary homeopathy is popular not least because of the general boom in so-called alternative medicine (SCAM). Prince Charles is just one of many prominent advocates who claims to treat animals with homeopathy. In many countries, veterinary homeopaths have their own professional organisations, while elsewhere veterinarians are banned from practicing homeopathy. In the UK, only veterinarians are currently allowed to use homeopathy on animals (but ironically, anyone regardless of background can use it on human patients). Considering the implausibility of its assumptions, it seems unlikely that homeopathic remedies can be anything other than placebos. Yet homeopaths and their followers regularly produce clinical trials that seem to suggest efficacy. Today, there are about 500 controlled clinical trials of homeopathy (mostly on humans), and it is no surprise that, purely by chance, some of them show positive results. To avoid being misled by random findings, cherry-picking, or flawed science, we ought to critically evaluate the totality of the available evidence. In other words, we should rely not on single studies but on systematic reviews of all reliable trials. Discussing this somewhat unclear and contradictory findings of trials of homeopathy for animals, Lee et al concluded that “…it is overwhelmingly likely that small effects observed in the RCTs and systematic reviews are the result of residual bias in the trials.” To this, I might add that ‘publication bias’, i. e. the phenomenon that negative trials often remain unpublished, might be the reason why systematic reviews of homeopathy are never entirely negative. As they are usually far too dilute to contain anything, homeopathic remedies are generally harmless, provided they are produced according to good manufacturing practice (which is not always the case). Unfortunately, however, this harmlessness does not necessarily apply to homeopathy in general. When employed to replace an effective therapy, even the most innocent but ineffective treatment can become life-threatening. Since homeopaths recommend their remedies for even the most serious conditions, this is by no means a theoretical consideration. I have therefore often stated that HOMEOPATHICS MIGHT BE HARMLESS, BUT HOMEOPATHS CERTAINLY ARE NOT. It follows that an independent risk/beneﬁt analysis of homeopathy fails to arrive at a positive conclusion. In other words, homeopathy has not been shown to generate more good than harm. In turn, this means that homeopathy has no place in veterinary (or human) evidence-based medicine. Did we not have a flurry of systematic reviews of homeopathy in recent months? And were they not a great disappointment to homeopaths and their patients? Just as we thought that this is more than enough evidence to show that homeopathy is not effective, here comes another one. This new review evaluated RCTs of non-individualised homeopathic treatment (NIHT) in which the control group received treatments other than placebo (OTP). Specifically, its aim was to determine the comparative effectiveness of NIHT on health-related outcomes for any given condition. For each eligible trial, published in the peer-reviewed literature up to the end of 2016, the authors assessed its risk of bias (internal validity) using the seven-domain Cochrane tool, and its relative pragmatic or explanatory attitude (external validity) using the 10-domain PRECIS tool. The researchers grouped RCTs by whether these examined homeopathy as an alternative treatment (study design 1a), adjunctively with another intervention (design 1b), or compared with no intervention (design 2). RCTs were sub-categorised as superiority trials or equivalence/non-inferiority trials. For each RCT, a single ‘main outcome measure’ was selected to use in meta-analysis. Seventeen RCTs, representing 15 different medical conditions, were eligible for inclusion. Three of the trials were more pragmatic than explanatory, two were more explanatory than pragmatic, and 12 were equally pragmatic and explanatory. Fourteen trials were rated ‘high risk of bias’ overall; the other three trials were rated ‘uncertain risk of bias’ overall. 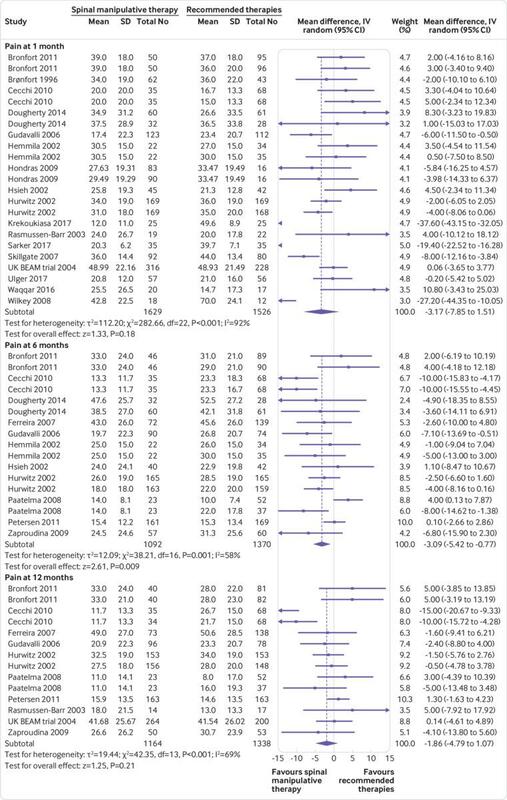 Ten trials had data that were extractable for meta-analysis. Significant heterogeneity undermined the planned meta-analyses or their meaningful interpretation. For the three equivalence or non-inferiority trials with extractable data, the small, non-significant, pooled effect size was consistent with a conclusion that NIHT did not differ from treatment by a comparator (Ginkgo biloba or betahistine) for vertigo or (cromolyn sodium) for seasonal allergic rhinitis. The authors concluded that the current data preclude a decisive conclusion about the comparative effectiveness of NIHT. Generalisability of findings is restricted by the limited external validity identified overall. The highest intrinsic quality was observed in the equivalence and non-inferiority trials of NIHT. This dataset confirms yet again that the methodological quality of homeopathy trials is lousy. The totality of the trial evidence analysed here fails to show that non-individualised homeopathy is effective. Authors RTM, YYYF, PV and AKLT are (or were) associated with a homeopathy organisation whose significant aim is to clarify and extend an evidence base in homeopathy. RTM holds an independent research consultancy contract with the Deutsche Homöopathie-Union, Karlsruhe, Germany. YYYF and AKLT belong to Living Homeopathy Ltd., which has contributed funding to some (but not this current) HRI project work. RTM and PV have no other relationships or activities that could appear to have influenced the submitted work. JRTD had no support from any organisation for the submitted work; in the last 3 years, and for activities outside the submitted study, he received personal fees, royalties or out-of-pocket expenses for advisory work, invitational lectures, use of rating scales, published book chapters or committee membership; he receives royalties from Springer Publishing Company for his book, A Century of Homeopaths: Their Influence on Medicine and Health. JTRD has no other relationships or activities that could appear to have influenced the submitted study. If one had wanted to add insult to injury, one could have added that, if, despite such conflicts of interest, the overall result of this new review turned out to be not positive, the evidence must be truly negative. What can consumers do when they are confronted with confusing or contradictory evidence? those who try their best to follow the evidence. The first group is replete with SCAM enthusiasts who make their decisions based purely on habit, emotion, intuition etc. They are beyond my reach, I fear. It is almost exclusively the second group for whom I write this blog. And that could be relatively easy, if the evidence were always accessible, understandable, straight forward, conclusive and convincing. But sadly, in SCAM (as in most other areas of healthcare), the evidence is full of apparent and real contradictions. In this situation, it is often difficult even for experts to understand what is going on; for lay people this must be immeasurably more confusing. Yet, it is the lay consumers who often will take the decision to use or not use this or that SCAM. They therefore need our help. What can consumers do when they are confronted with contradictory evidence? How can they distinguish right from wrong? Some articles claim that homeopathy works – others say it is just a placebo therapy. Some experts claim that chiropractic is safe – others say it can do serious harm. Some articles claim that SCAM-practitioners are competent – others say this is not true. Some experts claim that SCAM is the future – others stress that it is obsolete. What can a lay person with no or very little understanding of science do to see through this fog of contradictions? WHERE DID YOU READ THE CLAIM? If it was in a newspaper, magazine, website, etc. take it with a pinch of salt (double the dose of salt, if it’s from the Daily Mail). CAN YOU RETRACE THE CLAIM TO A SCIENTIFIC PAPER? This might challenge you skills as a detective, but it is always well-worth finding the original source of a therapeutic claim in order to judge its credibility. If no good source can be found, I advise caution. IN WHICH MEDICAL JOURNAL WAS THE CLAIM PUBLISHED? Be aware of the fact that there are dozens of SCAM-journals that would publish virtually any rubbish. WHO ARE THE AUTHORS OF THE SCIENTIFIC PAPER? It might be difficult for a lay person to evaluate their credibility. But there might be certain pointers; for instance, authors affiliated to a university tend to be more credible than SCAM-practitioners who have no such affiliations or authors working for a lobby-group. WHAT SORT OF ARTICLE IS THE ORIGINAL SOURCE OF THE CLAIM? Is it a proper experimental study or a mere opinion piece? If possible, try to find a good-quality (perhaps even a Cochrane) review on the subject. ARE THERE OTHER RESEARCHERS WHO HAVE ARRIVED AT SIMILAR CONCLUSIONS? If the claim is based on just one solitary piece of research or opinion, it clearly weighs less than a consensus of experts. DO PUBLICATIONS EXIST THAT DISAGREE WITH THE CLAIM? Even if there are several scientific papers from different teams of researchers supporting the claim, it is important to find out whether the claim is shared by all experts in the field. Eventually, you might get a good impression about the veracity of the claim. But sometimes you also might end up with a bunch of systematic reviews of which several support, while others reject the claim. And all of them could look similarly credible to your untrained eyes. Does that mean your attempt to find the truth of the matter has been frustrated? You could do a simple ‘pea count’; this would tell you whether the majority of reviews is pro or contra the claim. However, this might be your worst bet for arriving at a sound conclusion. The quantity of the evidence usually is far less important than its quality. If you have no training to judge the quality of a review, you might just go with the most recent and up-to-date review. This, however, would also be fraught with problems, as you can, of course, not be sure that the most recent one is also the least biased assessment. Perhaps you can somehow get an impression about the respectability of the source. If, for instance, there is a recent Cochrane review, I advise to go with that one. Look up the profession of the authors of the review. The pope is unlikely to condemn Catholicism; likewise, you will find very few homeopaths who are critical of homeopathy, or chiropractors who are critical of chiropractic, etc. I know this is a very crude ‘last resort’ for replacing an authorative evaluation of the claim. But, if that’s all you have, it is better than nothing. Ask yourself who can normally be trusted more, the SCAM-practitioner or lobbyist who makes a living from the claim or an independent academic who has no such conflict of interest? If all of this does not help you to decide whether a therapeutic claim is trustworthy or not, my advice has always been to reflect on this: IF IT SOUNDS TOO GOOD TO BE TRUE, IT PROBABLY IS.